"Well done, sister suffragette!" 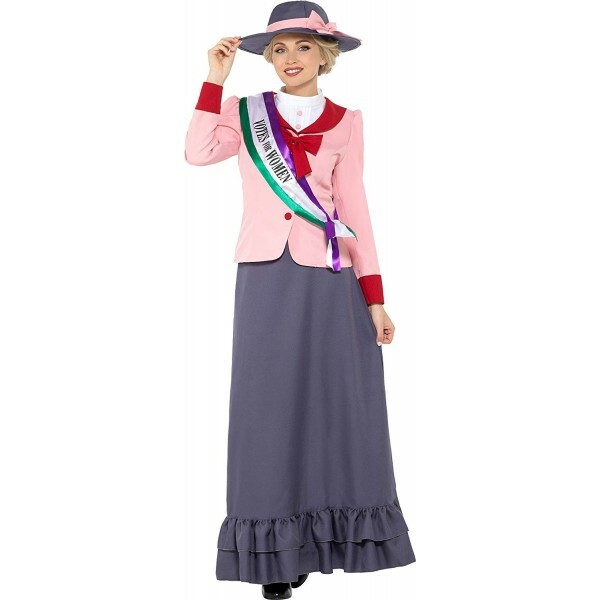 Pay tribute to the bold women of Britain's suffrage movement with this costume from Smiffy's. The pink and grey dress and hat imitate fashions of the time, while the "Votes for Women" sash is in the green, white, and purple that were the movement's trademark colors. It's the perfect choice for a historically-themed costume.